With decades of combined experience, we know what it takes to help families work through their issues and move forward. "Very Caring & Helpful Attorney"
The needs of our clients always come first—always. See for yourself how we have helped people just like you with their family law case. Before hiring our firm, you can request a confidential consultation with us to discuss the details of your case. At The Law Office of Darren C. O'Toole, LLC, we help families throughout our community find resolutions to their various, complex family law matters as smoothly and painlessly as possible. We understand that family law can be an emotionally draining legal field to navigate through, and we want you to know that you do not have to work through these processes on your own. Our Monmouth County family law attorneys have experience handling cases related to family law and we have the knowledge and skills needed to take on even the most complex cases. Whether your matters can be resolved in a peaceful manner or call for litigation, we stand ready to assist you. Call (732) 223-1400 to schedule a FREE consultation with one of our skilled Monmouth County family law and divorce lawyers. 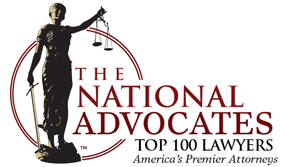 We are proud of what our family law attorneys have accomplished. 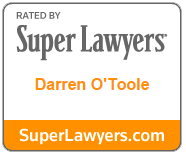 Attorney O'Toole has received a perfect score from a trustworthy rating system: a 10.0 Superb from Avvo. 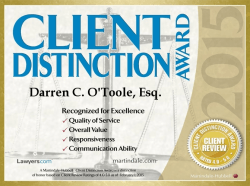 This rating, along with a Distinguished Peer Review from Martindale-Hubbell® is a testament to the respect and recognition we have earned throughout our community for the legal counsel we provide. Whether you are going through divorce, are seeking child support, or are going through a complicated child custody dispute, our experienced Monmouth County divorce attorneys are here to assist you. We genuinely care about the well-being of our clients, and do whatever it takes to help every individual and family we work with reach the results that are most likely to help them move forward. One of our attorneys is also an appointed matrimonial mediator, and we can assist you if your divorce can be resolved amicably. For more information about the services we provide or to request your initial case evaluation, contact our firm today - we are proud to serve all of Monmouth County and Ocean County! We are here to address all of your questions and concerns.